However, since this act was signed almost 30 years ago, before the advent of the internet, clarification of how it affects websites has been open to interpretation. 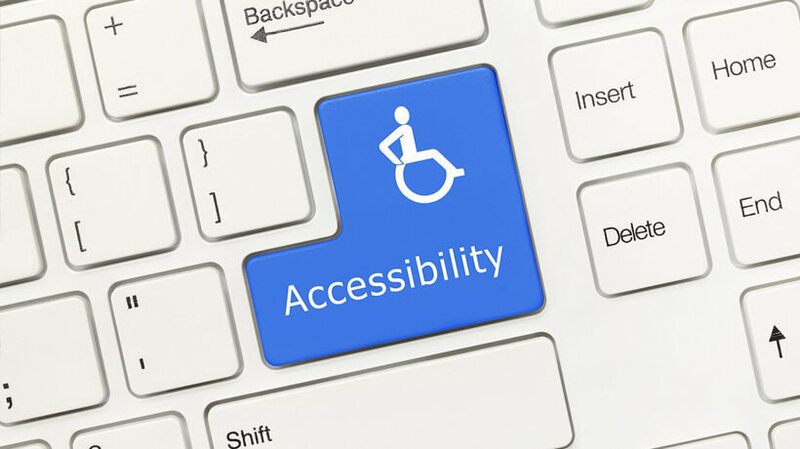 In the veterinary industry, there has been much discussion regarding this matter—the bottom line is, having an ADA-compliant website is an absolute necessity for any practice to have, not just to follow the letter of the law, but more importantly, to make sure that your site is user-friendly for persons with disabilities. At iVET360, part of our mission is to educate veterinary hospitals and their staff regarding ongoing digital changes, with the ultimate goal being to help more companion animals. Along with providing expert analytics and HR and training assistance to clients, we also specialize in marketing for veterinary hospitals. These marketing services include building modern and individually customized websites that are user-friendly for all types of people, including those with disabilities. As an industry-leading veterinary services provider, we are proud to say that 100 percent of our clients’ websites are ADA compliant. We have worked hard to incorporate the aforementioned elements in our designs, in order to provide access for all patients to get quality veterinary care. For more information on these web pages, or if you’d like to contact iVET360 for any marketing, analytics or HR and training services, please reach out to us at 503-765-6360 or through our online form.